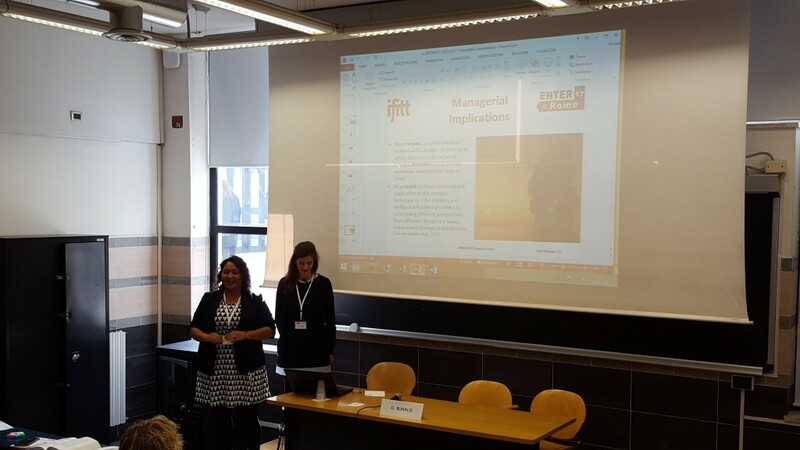 This year IMTE-Master-Students presented their research at the ENTER Conference in Rome. Here is an extended abstract of what they did and what they found out…. 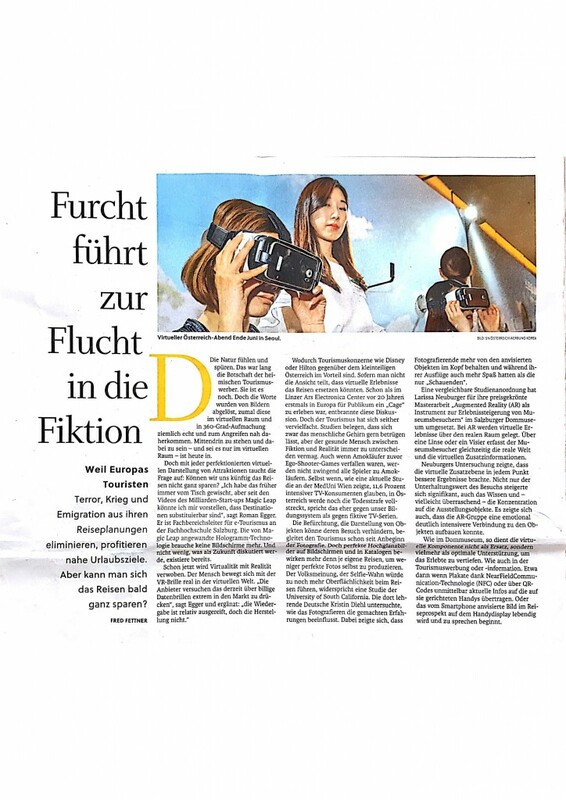 This study is the first of its kind to apply the scenario technique approach to explore the future of wearable technologies in tourism. Nowadays, mobile devices have become central in the tourism industry, addressing not only the inspiration and planning stage, but also the experience on-site (Neuhofer, Buhalis, & Ladkin, 2014). Recently a new form of technology has emerged in tourism: wearable devices. This technology is expected to have an effect on how tourists would look, communicate and interact with their environment in the future, mediating their experience by facilitating practical functions such as communication, navigation, information search and health monitoring (Tussyadiah, 2013). Although they are not claimed to replace smartphones any time soon, wearables are considered to be the technology of the future that will transform the way people interact with the surroundings (Prabu, 2012; Dickey, 2013). Given the changing roles wearables might play in the future of tourism, this research adopts the scenario technique approach to propose plausible and possible future scenarios of use of wearable devices on-site. 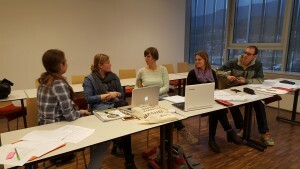 As starting point of the Scenario technique approach, focus groups were conducted to gain an understanding of the core factors influencing the future use of wearable devices in an on-site tourism context. Software, Hardware, Network & Infrastructure, Comfort & Embodiment, Functions & Usages, Reliability and Third Party Access were identified as the most influential factors. Out of a vast number of possible scenarios generated combining all the future developments of the identified factors, four scenarios were chosen based on the most plausible and contrasting combinations of the most influential driving forces (Schüll & Schröter, 2013). The four scenarios, which are presented through narratives named as Awesome, Meh, Grumpy and Evil, depict not only why and how wearable devices such as smartglasses and smartwatches might be used in the near future by tourists on-site, but also outline how the visitor’s experience might be affected. While one scenario presents a situation where embracing technology enhances the tourist’s experience, hence maximising customer values and enriching user’s skills (Neuhofer et al. 2014; Tussyadiah, 2015), the other scenarios depict alternative situations where wearable devices fail to enable meaningful positive experiences. The growing popularity of mobile devices and their extended usage for travel and accommodation booking, have affected both the behavior of consumer and the development of the Tourism and Hospitality Industry (Buhalis & Law, 2008; Egger & Buhalis, 2008; Neuhofer, Buhalis & Ladkin, 2012). 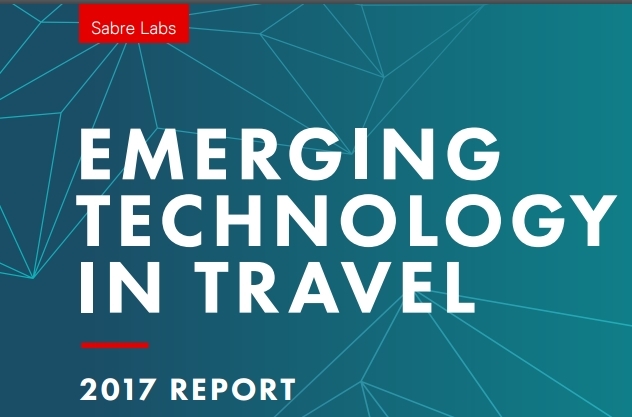 During their analysis in 2015, eMarketer predicted that by 2016 that 51.8% of all travel online bookings will come from mobile devices, such as smartphones and tablets (eMarketer, 2015). All this together possesses a big challenge for the developers of hotel mobile websites. Using responsive website design (RWD) to tailor the content of hotel websites to devices with different screen sizes might not be enough. Due to the fact that little attention has been given to the importance of hotel mobile websites, the aim of this paper is to explore the differences of usability and content of hotel mobile websites in the context of devices with different screen sizes. By means of a true experiment involving an eye-tracking study, think aloud protocols and semi-structured interviews, the findings of this research show that while hotel websites used RWD to ensure a uniform visual appearance on both smartphones and tablets, some major differences still emerged in terms of content importance and usability. It is recommended that in order to ensure customer satisfaction, hotel mobile websites should be designed separately for different mobile devices. 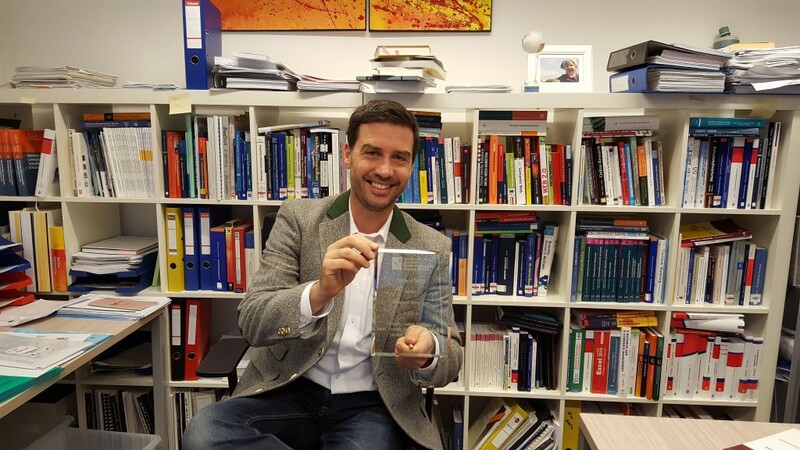 Prof. Roman Egger was recently awarded for the “Fellow of the ICE Award”. He received this honoured award at the annual meeting of the ICE in Lucern for „Outstanding academic contribution to Tourism, Hospitality, Education, Training & Research“. Thank you very much for this award!